The real-time* GPS tracking map shows the current location of all vehicles with color-coded route, stop and vehicle icons for easy identification. View bus locations and arrival information in real-time using a FREE mobile app available in the Apple and Android app stores. 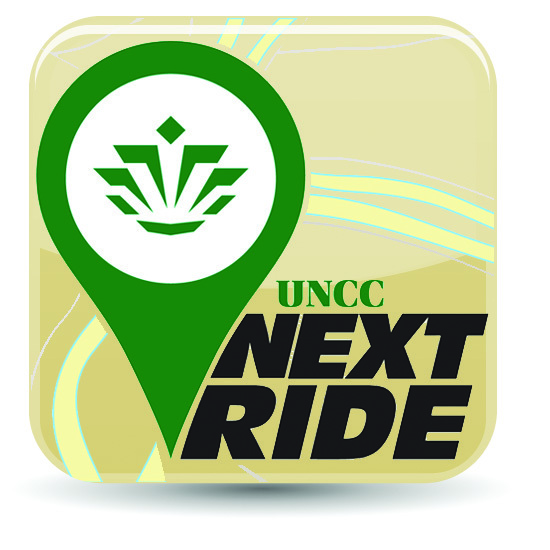 Search "UNCC NextRide." Did you know you can tag a favorite stop in NextRide? The system will update current data for you for that stop. The text message alert system allows users to receive SMS text messages showing the arrival time estimates for each bus stop. in just a few seconds, you will get a reply.